I was 8-years-old and sat on the classroom floor – the wiry, blue carpet poking through my wool tights. It made my legs itch. I frowned at the teacher, struggling to remember what had passed through my mind as I’d opened my eyes that morning. Maybe it was about my hamster? Or my new Walkman? The thought had apparently vanished; floating up into the clouds with the other (no doubt poignant) thoughts of my 8-year-old self. My teacher seemed unaffected by my memory loss. Quickly opening a book on her lap, she read a quote out to the class: “If you have good thoughts they will shine out of your face like sunbeams and you will always look lovely.” I remember feeling panic-stricken, quickly conjuring up images of baby sheep and flowers. Our teacher explained that the quote was from the author Roald Dahl and his book ‘The Twits’. This line, she said, would teach us about the importance of ‘positive thinking’. Clearly a mindfulness trailblazer, she explained that if we could start our day with one happy thought, then we would have a positive day. It really was that simple. Our homework was to therefore record our first thoughts of the day for the next week, focusing on things that made us smile. The kids of this primary school were going to start the day right. I’m not sure why I remember this little episode so clearly. I don’t remember completing the homework, or my thoughts over that one, soul-searching week in 1994. Yet, I’ve always remembered Dahl’s quote and my teacher’s lovely lesson on the importance of starting my day positively. However, as I’ve got older, putting this life lesson into practice has been tough. Mornings as a kid seemed, well – different. They were a time for adventure; to wake up when the grass was still dewy and the murmur of the milk float could still be heard. Excitedly padding into the silent lounge in the early mornings felt a little bit like falling down Alice’s rabbit hole: even though the furniture was all the same and my colourings pencils were where I left them, everything felt slightly altered. These days, my mornings are unrecognisable. There are no Alice in Wonderland rabbit holes in this joint: only phone alarms; snooze buttons; frenzied showers and blasting my hair with a hairdryer, all while checking my emails. Sometimes, if I’m lucky, I’ll sneeze just as I’ve applied my mascara. During this morning assault course, I’m definitely not reflectively pondering my first thought of the day, or thinking lovely thoughts. In fact, I bet my face looks like Mrs Twit’s. I came to this realisation – that I’m slowly morphing into a frowning, scribbly Quentin Blake illustration – a few months ago. I’d gone to work with mascara and eye shadow on just one eye, and only realised half way through the day when I’d visited the staff toilets. My mornings had reached crisis point. I needed to get my morning game back; I needed to go back to 1994. But who could help me with this quest? You guessed it – coffee. Nescafé was always a constant feature in my home growing up. I’d hear my Mum opening the glass jar of it each morning; the smell of it wafting across the breakfast table. Every day, she’d sit and drink her coffee with her eyes closed; hands wrapped snugly around the mug. Sometimes, she might stand by the kitchen sink, looking out over the cold and frosty garden. 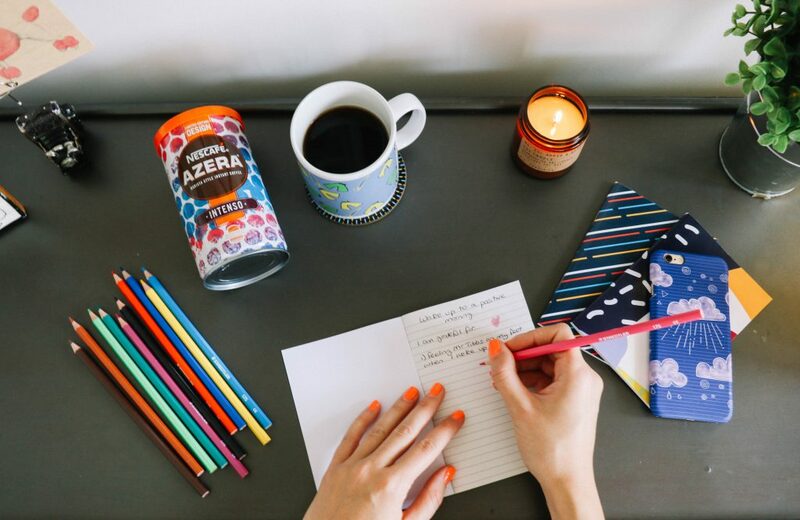 As a kid, I presumed she had a headache (likely, with identical twin daughters), but now realise that she was having her very own ‘lovely thought’ moment – preparing herself for a positive day ahead, with the help of a jar of Nescafé and a little red mug. It’s funny how these things come full circle. 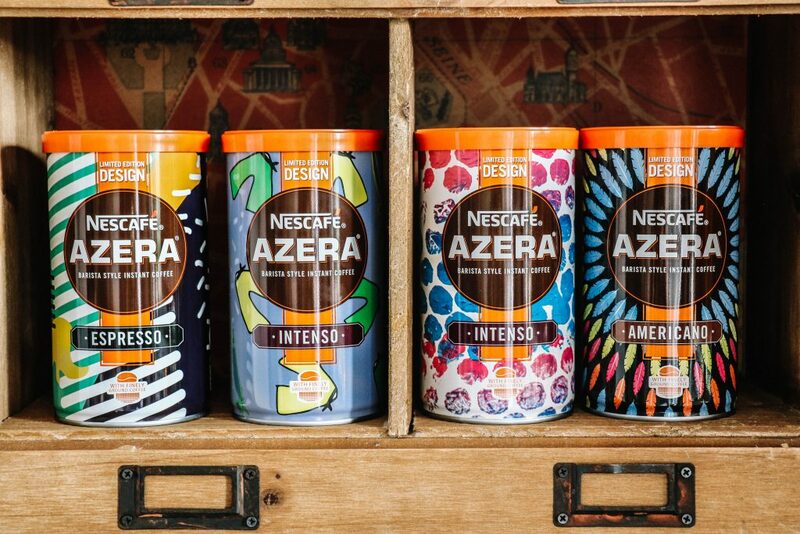 Not long before I had debuted my A-symmetrical makeup look, Nescafé had been in touch with us to tell us about their lovely new campaign, based on their Nescafé Azera barrista coffee (an upgrade, I might add, to my Mum’s chosen grain). 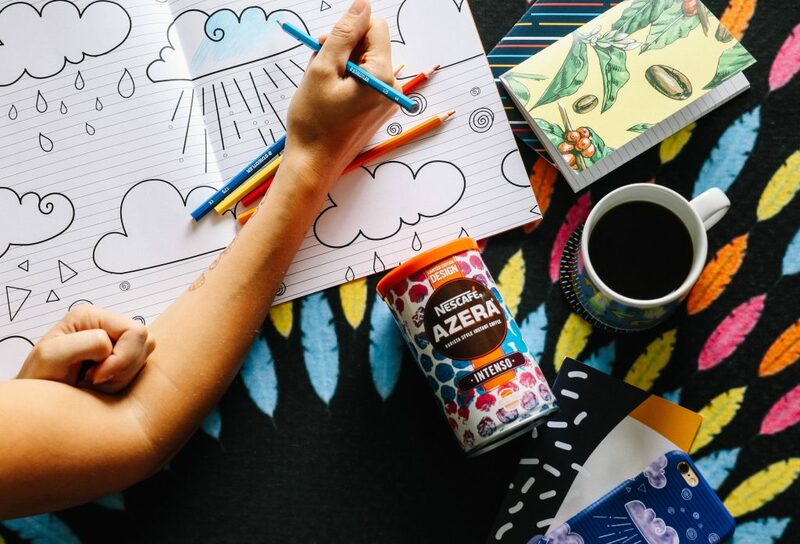 Clearly a positive and happy sort, the folk at Nescafé were on a mission to improve our mornings, encouraging us to start our day positively with a new activity, a moment of calm or even a simple mantra; kick-starting it all with a steaming cup of Nescafé Azera. As I’d realised in that cold light of day in those staff toilets, somewhere along the line, mornings had become feverish events to endure, rather than a time to enjoy. This was something Nescafé wanted to change. Reading about this campaign made me smile; reminding me of my Mum as she sipped her coffee each morning. I decided that Nescafé’s email was a ‘sign’: a sign that I needed to reclaim my morning, re-connect with the teachings of my 8-year-old self and channel the morning ritual of my coffee-sipping Mum. I made a pledge to wake up to a positive morning. My plan was simple: I was going to set my alarm that little bit earlier and wake up when the house was still quiet: an Alice-inspired rabbit hole. 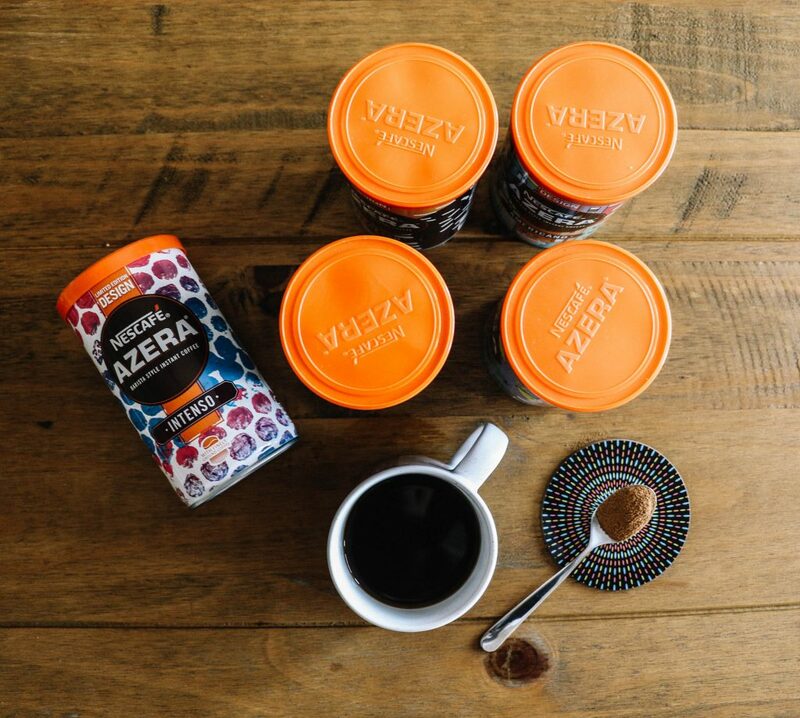 Without turning on the radio or TV, I would then make a coffee – trying a few of Nescafé Azera’s different flavours across the week – before sitting down to drink it in peace. Next, it would be time to re-engage with my homework of 1994, writing down a few positive thoughts that floated across my mind; capturing them before they vanished into a darker cloud of raining adult worries. Then, and only then, could I start my normal routine: happy thoughts streaming out of my face like sunbeams. I was not adding a lot to my morning: I wasn’t training for a triathlon, or studying for a degree, but nonetheless these small tasks – mini challenges that I could also implement whilst travelling – had the capacity to completely change my morning. I felt oddly excited. When 6am came around the next morning – alarm screeching – I struggled to remember this initial excitement. The light seemed different at this time, softer and grey. Outside, I couldn’t yet hear the morning commuter train, or the queue of rumbling traffic that assembles at the end of my road. Feeling a heavy weight on my feet, I noticed that even the cat was still asleep; his whiskers twitching as he no doubt dreamt about mice or catnip. I slipped out of bed and walked into the lounge, the sofas still dented where we had sat last night. The scene looked a bit like it belonged to someone else; that slightly disorientating effect of early mornings that I remember as a kid. Heading into the kitchen, I spotted the Nescafé Azera tins immediately. 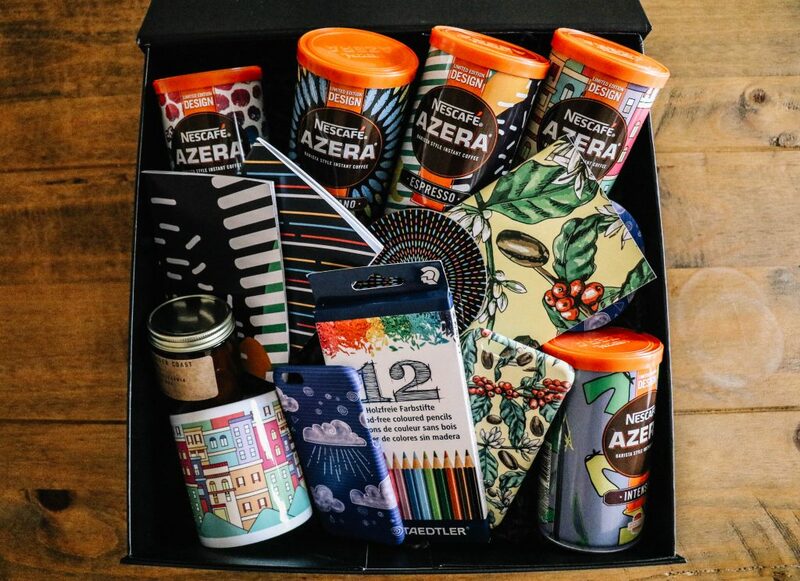 Limited editions and specially designed for this campaign, the tins were created by talented students at the University for the Creative Arts: featuring bright, energising and vibrant patterns, filled with yellows, oranges and deep greens. They are a beautiful pop of colour to start your day, and can be bought online here. In my bid to start my days a little better, I had even read that studies have shown that waking up to bright colours can increase your mental agility, increase confidence, and fill you with feelings of positivity. Were these little tins making me a smarter, more confident person? I hoped so and naturally stared at them for a little longer. For a more mindful experience (I was quickly getting the hang of this) I filled the stove kettle, rather than using the electric kettle – letting the gentle whistling sound fill the kitchen. The sound of it shaking softly as it boiled was a far nicer experience than listening to the morning headlines or radio jingles. On this particular morning, I had decided to try Nescafé Azera’s delicious ‘Intenso’ flavour; the strong smell of roasted coffee grains flooding the room as I opened the tin. It’s funny how quickly a smell can transport you elsewhere: this particular scent reminded me of school mornings one winter, as my Mum made her coffee and I ripped open my advent calendar. After stirring the creamy coffee until the milk swirled, I sat down at the creaking kitchen table and drank the coffee – alone. It couldn’t have been a more different experience to my normal routine. Even the cat looked confused as he padded softly into the kitchen. Looking down at my little list – colouring flowers and stars around it – I realised it wasn’t a ground-breaking piece of philosophical reflection. Nor had it taken very long. But looking at it made me feel happy – relaxed. I could almost feel the sunbeams coming out of my face and Mrs Twit’s harassed expression disappearing. Next, I opened the colouring book and pencils that Nescafé had included in their positive morning kit, and silently set to work colouring in the delicate petals of a flower. I was surprised at how quickly I became absorbed in my little task; deliberating over which colours to choose and taking extra care to colour within the lines. The final part of my new morning routine was a creaking attempt at a yoga sequence to liven up my sleepy joints. Despite my screaming hamstrings, waking up to zen rather than a frantic dash, felt lovely. After a few final stretches, I got up, gave the cat a kiss on the head and ran a shower. The rest of the day was now able to start – but not with a panicked sprint. Instead, it would be a nice gentle stroll to the finishing line (aka my car). I understand that my new morning routine is not radical. 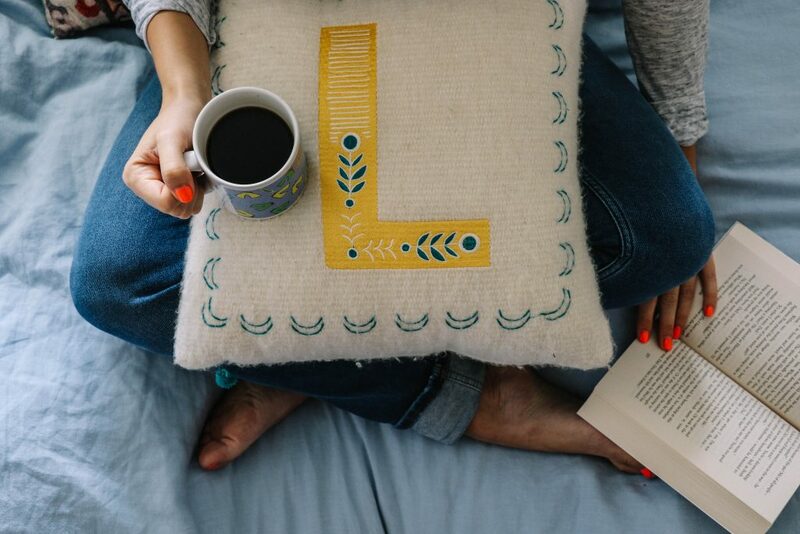 But changing your morning habits – however tiny – really can make for a better day. My primary school teacher (Nescafé, my Mum and Roald Dahl) were all right: a positive morning can make for a positive day. It’s a lesson I also want to make sure I apply when I travel – taking the time to get up earlier and roll out my yoga mat, or to just sit with a cup of coffee and watch the city below me wake up. Remember, mornings are hours of the day that are all yours, and just as they were in 1994, they are a time to watch all your cartoons; creep about the house; jump on the sofa; and eat a Pop Tart before your Mum gets up. Heck, why not enjoy that as an adult? So, next time you’re walking bleary eyed down the aisle at the local supermarket, after forgetting to apply mascara to one of your eyes, be sure to head towards the coffee aisle. There, little brightly-coloured tins are waiting for you, ready to unleash some lovely bright sunbeams into your day. Nescafé really does want you to have a positive morning, and with it, a brilliant day. Because – let’s face it – life is too short to look like Mrs Twit. "A Guide to a Weekend in Lille"
"A Guide To Sussex & Dungeness"
In January, my new year’s resolution was to get up earlier and fit more into my mornings. It’s made the hugest difference on my life. By the time I get to work, I’m so much less stressed, as I’ve already done a gym class, taken the dog out or just had a nice brekkie! Plus, coffee always helps 😉 Lovely post, girlies. 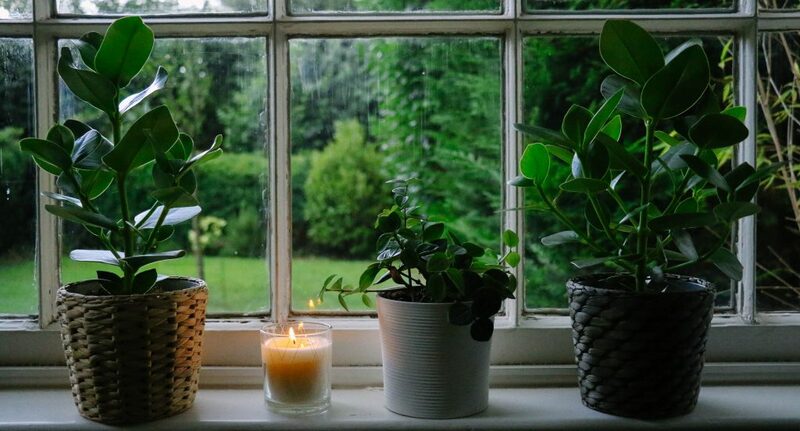 All these small changes you can make really add up to a hugely different start to your day. Love the tins for the Nescafé products too they are like homeward in themselves. I love this coffee and drink it every morning at home. I too remember my mum drinking coffee as part of her sit down ritual, she would write her lists and make her plans and chat her best chats over a coffee. Oh, I’m so glad we’ve found another fan of Nescafe! And it’s lovely to know we share the same memory of our Mums sipping their coffee every morning. It makes me feel super nostalgic! I absolutely love the idea of starting the day with positive thinking – and with coffee of course! This is a lovely post! I’m not a coffee drinker, but I can do tea! 🙂 After years of having rushed, stressful mornings (and hating it), I’m finally trying to make some changes and establish better routines, particularly in the morning. Thanks for the inspiration and motivation to stick with it!